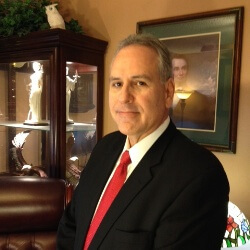 THE BARBOSA LAW FIRM, P. C. was founded in 1988 by Roland Barbosa, Attorney at Law. Our Dallas family law firm was established in the tradition of a small boutique style practice. We value our relationship with our clients and strive to provide direct, effective, personal, and professional communication. We offer affordable legal services way below what other big law firms charge. We understand that most people cannot afford to hire the “big firms” with their “big down payments.” We work with all our clients to make sure they know up front the cost they will incur based on their individual legal matters. Your fees will also be determined by the actions and demands of the opposing party. We also seek to mediate, negotiate, and settle your legal matter out of court, provided the settlement is fair and equitable for you. If your divorce or family law matter cannot be settled out of court, then we will aggressively pursue all your interests in front of a judge. We have successfully represented thousands of clients over the last 25+ years. Whether contested or uncontested, we will provide you with the most experienced, most affordable, and aggressive family law attorney in both Dallas and Carrollton TX. 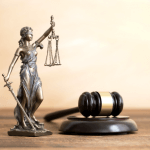 When can I meet with a Dallas Divorce Attorney? You are able to contact our law firm 24 hours a day 7 days a week for any emergency or to set up an office conference with an attorney. We have offices in Dallas and Carrollton. In most cases, your call will allow you to speak directly with an experienced family lawyer to discuss your legal matter. We will always suggest that you consult with several lawyers before you decide to hire one to represent you. Founding attorney, Roland Barbosa, has successfully represented clients and practiced family law in Texas courts for over 25 years. He has the understanding and qualities that an attorney should possess to help you and your family understand the legal system and methods that will not cost you a fortune in attorney’s fees. Our objective is to provide experienced, affordable, and aggressive representation to secure the best possible outcome for your case. Our personal dedication and perseverance to your family law case distinguish us from other firms. We do not charge clients ridiculously high fees like other law firms. You will always have payment plan options to fit your budget and case objectives. You will always meet personally with an attorney before deciding to hire us, unlike other law firms which will pass you off to their legal assistants without ever meeting with you personally. You will be promptly informed and updated via email, fax or mail regarding your case developments. You will have experienced legal representation, not a first-year divorce lawyer who will learn by trial and error with your legal matter. We are with you every step of the way – that is our promise to you. Unless you have been referred to us or we have represented you before, we will always suggest that you shop around. Visit with several lawyers before you decide on whose hands to place your future and that of your family. Hire an attorney who will listen to you, understand your legal issues, and have the experience to handle your legal matter. Do not hire a divorce attorney who won’t sit down with you until you have paid them hundreds of dollars up front. Do you need a protective order issued immediately? We can help you get the protection without delay. Do you need a restraining order to keep your property from being wasted or squandered by the other party? We can help you get the relief without delay. Do you need experts to appraise your marital property? We have access to hundreds of experts to assist us. Do you need experts to protect your child’s interests? We can get those experts without delay or further damage to your child (see paternity, child support, and child custody). Contact us for a free consultation with an experienced, affordable, aggressive Dallas divorce attorney today!